Harley-Davidson, Inc. (NYSE: HOG) has repurchased $297 million (face value) of senior unsecured notes scheduled to mature Feb. 1, 2014. The Company repurchased the notes, held by Davis Selected Advisers, L.P., Dec. 10 at a price of $380.8 million. The transaction was priced based on U.S. Treasury rates and market credit spreads. If held to maturity, Harley-Davidson would have incurred total principal and interest payments of approximately $438 million on the notes between now and maturity. The Company used cash on hand for the repurchase. The repurchased notes will be cancelled by the Company. 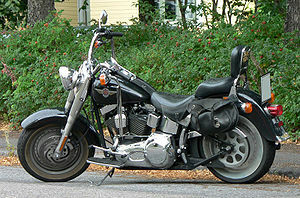 In February 2009, during the depths of the economic recession and with the credit markets largely frozen, Harley-Davidson placed $300 million of senior unsecured notes each with Davis Selected Advisers and Berkshire Hathaway, Inc.
Harley-Davidson expects the repurchase to reduce fourth-quarter 2010 earnings by approximately $82.7 million on a pre-tax basis. The Company will not incur interest expense on the repurchased notes of approximately $45 million per year in 2011 through 2013 and $3.7 million in 2014. Harley-Davidson, Inc. is the parent company for the group of companies doing business as Harley-Davidson Motor Company (HDMC), Harley-Davidson Financial Services (HDFS) and Buell Motorcycle Company (Buell).